Objective Presently, existing research on art classification is primarily based on feature extraction and hence feature-based classification. 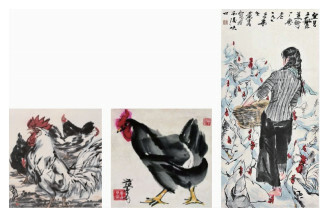 Although such feature-based methods reported in the literature achieve a certain level of success, a major weakness lies in the considerable dependence of classification performances on the effectiveness of the features in describing the content of Chinese paintings. 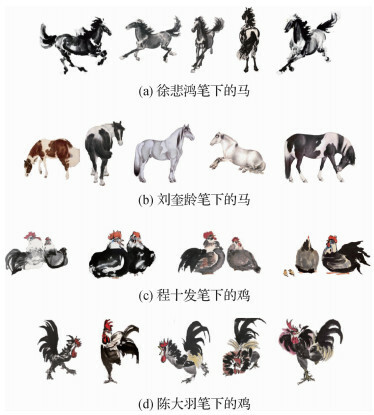 Given that traditional Chinese artists tend to rely on popular objects, such as figures, trees, flowers, birds, mountains, horses, and houses to express their artistic feelings and emotions, we explore a new concept of artistic object-based approach to classify traditional Chinese paintings in this study. In this way, automated classification can be integrated with perception, understanding, and interpretation of artistic expressions and emotions via the segmented artistic objects. Such an approach also possibly enables our proposed methods to be further developed into an interactive object-based classification approach for other forms of paintings. In comparison with the existing state of the arts, one advantage of our proposed approach over those based on features or content is that objects provide direct and integrated art expressions inside paintings. Method Our proposed method includes three stages of processing and analytics for traditional Chinese paintings, that is, 1) interactive art object segmentation; 2) description and characterization of art objects via convolution neural network (CNN), the most popular deep learning unit; and 3) SVM-based classification and fusion across all art objects. Specifically, via an iterative linear clustering algorithm, super-pixels are constructed to detect the difference between the color and position of each individual pixel. By maximizing the similarity within the neighborhood of those super-pixels, a sequence of objects can be segmented, and an interactive scheme can be designed, allowing users to add, revise, and interact with the content of paintings to achieve the best possible balance between subjective demand and objective art description. Afterward, a CNN-based deep learning unit is added to describe those objects, so its classification can be carried out with regard to the individual art object. Finally, an SVM unit is adopted to achieve the final fusion of all these classifications via consideration of each individual object within the given window, which is influenced and initialized through the training process. Result Extensive experiments are carried out, which are in four phases, each of which considers one impact factor, such as consideration of the number of artists, comparison with the existing state of the arts, consideration of benchmarking via content-based classifications, and assessment of contributions from CNN alone. 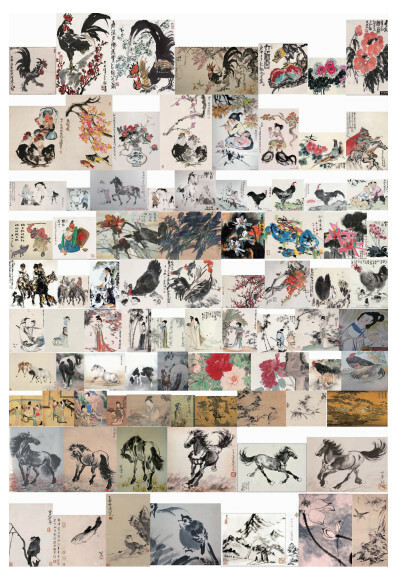 Experimental results show that our proposed algorithm:1) outperforms several existing representative approaches, including MHMM and fusion-based method, 2) achieves effective fusion of all different object classifications, including CNN and SVM units, 3) captures the artistic emotions through those segmented art objects, and 4) shows potential for interactive classification of Chinese paintings via segmentation of artistic objects. Conclusion This study proposes the computerized classification and recognition of art styles based on artistic objects in paintings rather than the whole paintings. 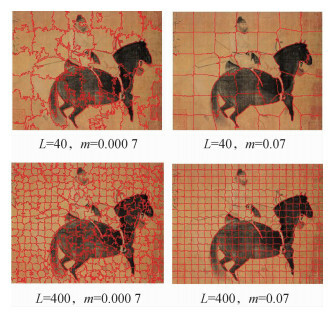 Experimental results reveal that the proposed algorithm outperforms the existing representative benchmarks, providing potential for developing effective digital tools for computerized management of Chinese paintings. 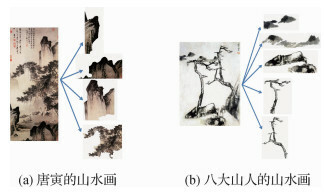 In addition, this method can be used to formulate an important tool for computerized management of Chinese traditional paintings, providing a range of techniques for effective and efficient digitization, manipulation, understanding, perception, and interpretation of Chinese traditional arts as well as its legacy. Liu J, Gao C Q, Meng D Y, et al. Two-stream contextualized CNN for fine-grained image classification[C]//Proceedings of the 30th AAAI Conference on Artificial Intelligence. Phoenix, Arizona, USA: AAAI Press, 2016: 4232-4233.